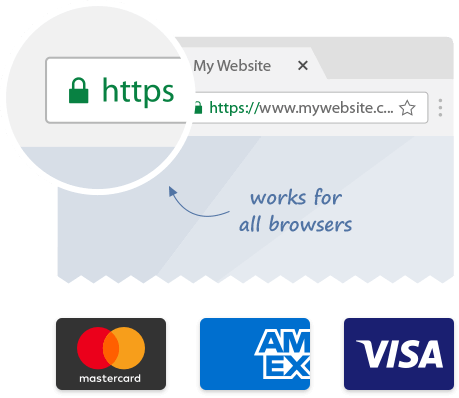 By using web SSL certificates, you can help encrypt your clients’ information before it is sent over the Internet, protecting their interest and boost their confidence in your website. Visitors won’t fill up a form or complete their transactions unless they know that their personal information is secured. Having an SSL certificate from Vodien is the affordable and simplest way to secure your website and increase sales. SSL is the standard security technology for establishing an encrypted link between a web server and a browser. This link ensures all data transmitted between the two remain private and fully encrypted. SSL is the industry standard and is used by millions of websites, banks and payment gateways for protection of their online transactions with their customers. Our Root certificate is trusted by over 99.9% of all current browsers, including the latest versions of Internet Explorer, Edge, Mozilla Firefox, Chrome, Opera and many more. It's also fully supported by default on all Windows and Mac OS operating systems.